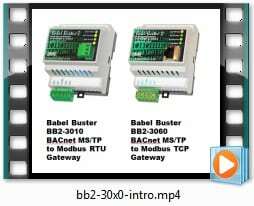 The Babel Buster BB2-3060 Modbus TCP to BACnet gateway allows Modbus TCP devices to communicate with BACnet MS/TP devices. Modbus registers are accessible as BACnet objects and BACnet objects may be read or written as Modbus registers. 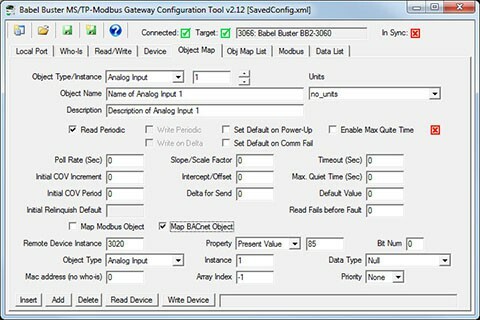 The Modbus TCP to BACnet gateway acts as a protocol translator between the two networks. 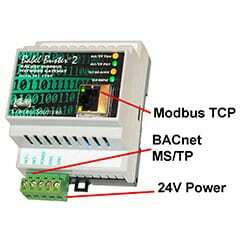 The Modbus TCP to BACnet gateway operates as Modbus TCP client and server at the same time. 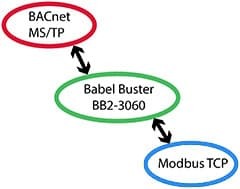 As a client, the Babel Buster BB2-3060 will continuously poll Modbus TCP devices according to the register list you provide, and save the register data in BACnet objects which can be accessed by other BACnet devices. Data will flow in either direction, from Modbus to BACnet, or vice versa. 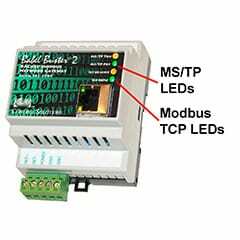 The Babel Buster BB2-3060 can also be configured to continuously poll BACnet objects in other devices, and save that data in local objects that can be accessed as Modbus registers by other Modbus TCP clients. 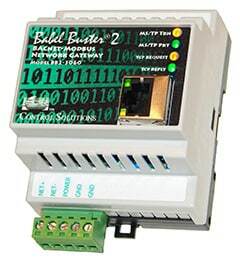 Control Solutions’ Babel Buster® BB2-3060 is a BACnet MS/TP client/server device that functions as a Modbus TCP client/server. 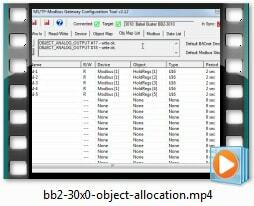 A large number of BACnet objects gives you flexibility in mapping Modbus registers to any combination of BACnet objects. Packed Modbus registers may be parsed to multiple BACnet objects when reading. 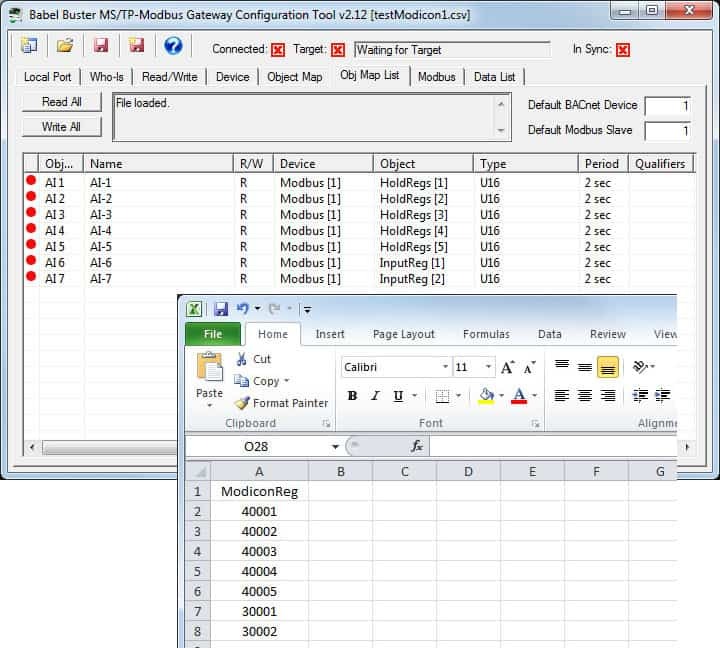 Multiple BACnet objects may be packed into a single Modbus register when writing. All standard Modbus register types are supported. Input objects will poll their assigned Modbus register at the interval you specify, and provide the Modbus data as the Present Value when read. Commandable Output objects are used to write Modbus registers, and will update the Modbus device each time BACnet is updated. The BB2-3060 supports up to 300 non-commandable objects, or up to 135 commandable objects, or a mix in between. The BB2-3060 is most often used as a Modbus TCP client (master), but it can operate as a Modbus TCP server (slave) while MS/TP operates as a client (master). This makes it possible to put MS/TP devices on a Modbus TCP network (but does still require an understanding of BACnet). MS/TP data in remote devices is queried and saved locally. 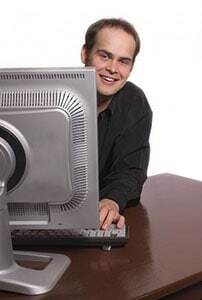 The local data may then be accessed by another Modbus master. 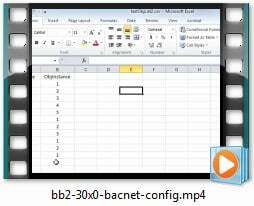 The BB2-3060 configuration tool connects to the MS/TP network using the MTX002 MS/TP to USB adapter (if not using a BACnet IP router). This intelligent adapter plugs into your PC's USB port, and offloads the MS/TP token passing from the PC to make it more reliable. The MTX002 allows you to connect your PC to an MS/TP network running at 76800 baud, something not possible with a generic RS485 port adapter.